Home / Holiday Gift Guide 2016 / STEM Play for Girls with Roominate! STEM Play for Girls with Roominate! I am continually blown away by the number of new toys there are on the market. I am equally just shocked at the things that the toys that are being made are teaching kids. It really is the best way for kids to learn. When it is time to buy those special kids in your life holiday gifts this should be on your list! 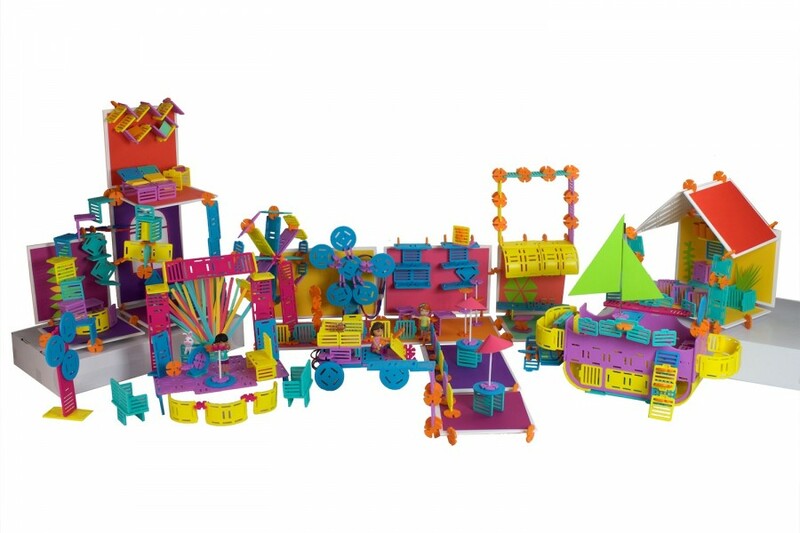 Roominate is a STEM play building toy for girls and it just gets them excited about the educational aspects of toys.The possibilities are endless with this set. Kids can connect the floor and wall panels and build any structure they want, and then they can use all of the modular parts to create tables, desks, cupcake stands, and so many more pieces. The amazing part is when it is all brought to life when the wiring up is done and the elevators, windmills, and carousels all work! The possibilities are really endless for exploring and using their imagination. There are so many sets geared more towards boys interests and I really appreciated that these were geared more towards girls interests. The Roominate sets are certainly appropriate for boys and girls however. Roominate was designed by two female engineers with backgrounds from Cal Tech, MIT and Stanford with a goal to inspire the next generation of female technology innovators. Roominate promotes hands-on problem solving, spatial and fine motor skills, and creativity. Who better to design toys to teach real life skills. This fun and educational building toy excites girls about STEM (Science, Technology, Engineering, and Math). You can check out all of the Roominate sets on their website here and also follow along on social media to see all of the exciting things coming soon as well as real structures kids have built! It is a huge hit at our house! I am sure it will be at yours too. Next post: My Fairy Garden – Growing and Playing!